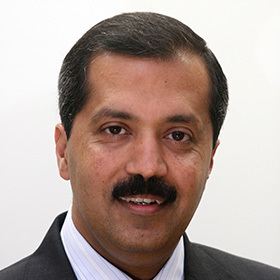 Sanjay Nayar (Mumbai) joined KKR in 2009 and is CEO of KKR India. Prior to joining KKR, he served as CEO of Citigroup’s Indian and South Asian operations and as a member of Citigroup’s Management Committee and Asia Executive Operating Committee. Mr. Nayar was the Deputy Chairman of the Indian Banks’ Association (IBA), Chairman of the Foreign Banks’ Committee of the IBA, a member of the Board of USIBC, Co-Chairman of the Banking Committee for the Federation of Indian Chambers of Commerce and Industry (FICCI), and Co-Chairman of the Habitat for Humanity India Builds campaign. He has also participated in various financial sector reform committees set up by the Indian government and domestic regulators and currently serves on the Committee of the Reserve Bank of India tasked with building a Centre for Advanced Financial Learning (CAFL). He is also on the board of non-government organizations including Habitat for Humanity, Pratham and Grameen Capital. He was recently appointed on the Board of EMPEA. He is also on the board of the Indian School of Business. (ISB).